It’s time for a reality check. I’d like to begin with pointing out the fact that more often than we realize, the correct solution to a problem is both obvious and simple. We live in a common sense world, but I think people forget that sometimes. From a young age, we’re programed to be “critical thinkers” and to look at a situation from all vantage points. Our encoded mental paradigms tell us we should analyze, overanalyze, and overcomplicate every possible variable that may contribute to a desired outcome. On the contrary, according to Ockham’s Razor, a scientific theory dating back to the 14th century, “the simplest solution is usually the correct one.” Spending my entire career in the auto industry, with much of it in a dealership, we skip most of this (thankfully) but there should be a happy medium. It’s where common sense meets analyzed data. Paid search, or pay-per-click, while it may appear to be an affordable form of advertising, there is a significant breakdown in the attribution no matter how transparent and detailed the reporting. Plain and simple, paid search is complicated. As one of the first automotive marketers to use paid search over 10 years ago, I have “complicated” scars. Yes, you can see the amount of clicks your campaign received. You can see the impressions. You can see the engagements. But can you see, validate, and know that a paid click led directly to a showroom visit without any other factors involved? Absolutely not. People looking for information doesn’t in any way translate to a sale. So, how do you measure the true ROI? Think about how much you spend driving people to your website each month. Thousands upon thousands of dollars are devoted to driving potential customers to your site in hopes of converting a click to a sale. As of today, the vast majority of customers cannot and will not purchase a car on your website. Therefore, dealers depend on leads to attempt to convert web traffic into showroom traffic. The stats speak for themselves. There is no arguing that well under 5% of website visitors will complete the standard dealership lead form. Specifically, WardsAuto, DealerRefresh, and other industry leaders report 3-7% of automotive shoppers actually submit leads. CDK’s Digital Business Intelligence study shows only 1% of auto shoppers submit email leads from dealer websites. It’s time we stop chasing imaginary attribution lines. If something isn’t working 95%-99% of the time, we need to do something about it. We need to direct our attention towards something we can quantify without a shadow of a doubt that led to a sale. We need to change the game – or more specifically, change the average lead form. Let me provide you with a real life example. Just a few weeks ago, in February, 2016 (with only five days left in the month), a leading OEM came to my team asking what we could do to help push them to a stronger close. Typically, OEMs will rush to spend more money on search or display to increase traffic and then hope and pray that web traffic will convert to leads and showroom visits before the month ends. Unfortunately, that’s tough to do in five days. Its tough to do in 10 days, but manufacturers and dealers chase this same avenue month after month. But this particular OEM knew they had sufficient site traffic. What they needed was to see it convert in the showroom. AutoHook’s incentives generated more than 1,800 showroom visits in just five days and these customers were directly attributed to nearly 800 sales in the same time period - something I would challenge any digital effort to perform and validate. In the Bounce Exchange’s latest Guide to PPC they acknowledge the tremendous waste potential of paid search. “Whether you’re a do-it-yourself small business or an agency managing hundreds of thousands of PPC dollars, you are leaving money on the table right now. Guaranteed.” Even worse, you could unknowingly be creating more opportunities for your competitors or just tossing money straight to Google. Their advice? “Move your budget into something that works.” More importantly, make sure that you have better and bigger nets to catch the fish. Let’s be clear. I am not saying don’t do paid search. It can be a great tool for driving traffic to your website, however it’s not ideal for converting actual sales or showroom visits. The reality is, paid search is not simple, and you can’t draw a straight line from your search campaign to a vehicle sold. A smart PPC provider, and more importantly a smart marketer, knows the difference between “researcher” and “buyer” search terms and online actions. Which do your campaigns target? What about your inventory? Are your search efforts boosting aging units or wasting ad dollars on high demand vehicles that will sell on their own? Buyer search terms are specific and measurable. Buyers know what they want down to the year, make, model, and color. Most will not contact you before coming in for a test drive, UNLESS your website provides an experience that gives them something in return for submitting their personal information. Yes, I’m referring to offering incentives just for coming in for a test drive. It’s so simple. Give something to get something. If you are willing to pay for a click, why wouldn’t you be willing to pay for a showroom visit? Heck, they probably would have clicked anyway. At the end of the day, you can empty your pockets in attempt to drive the world to your website. But the real question is, does your website convert once they arrive? Offering incentives to your customers is one of the best ways for both parties involved in any business transaction to get something they want. According to Verve Wireless, 85% of consumers say they are willing to visit a local dealership to test-drive a new vehicle if they were to receive an incentive on their smartphone or tablet. Targeted, incentivized promotion offers have also been proven effective in increasing showroom traffic, inventory turnover, and most importantly, dealership revenue throughout multiple departments. At AutoHook, we push outside of the box thinking. The following are ten ways to use AutoHook’s Suite of Solutions to your benefit that you probably haven’t thought of yet – because unfortunately, you may be suffering from SBS (which of course stands for Stuck in the Box Syndrome). 1. 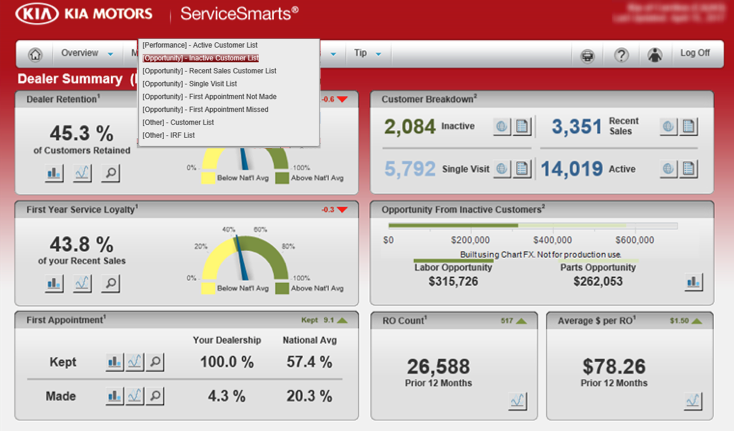 INCENTIVIZE YOUR SERVICE DRIVE. Have a service appointment? Who wouldn’t want to get paid to take a spin in a vehicle that peaks their interest while they wait? There are several ways to utilize AutoHook’s incentive offers in the service department that dealers are just beginning to catch on to. 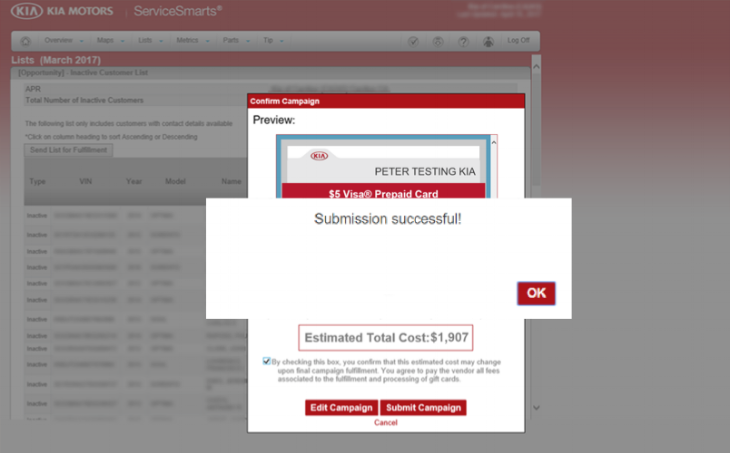 For customers who already have an appointment scheduled, use our Bulk Coupon Generator to push appointments already on the books to test-drive one of your cars instead of sitting around waiting for their vehicle to be serviced. Dealers can maximize the benefits of offering gift card incentives in the service department by pulling a list of vehicles within a specified mileage range, or a list of vehicles that meet certain criteria to increase your probability of conversion. If you didn’t plan ahead, you can use Issue Coupon Code or Instant Reward to customers sitting in the waiting area that may not have received a pre-generated offer to test-drive a new vehicle. 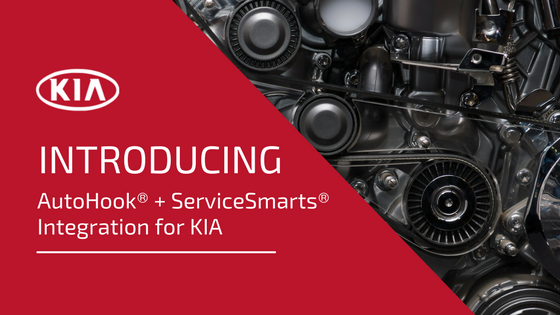 In addition, dealers can use incentives for customers who schedule service appointments directly on their website, especially for those customers who abandon the online service scheduler process. You can also offer the Issue Coupon Code to encourage customers to schedule their service appointment online, or add a test drive link to your confirmation page and email. 2. AMPLIFY YOUR SERVICE CAMPAIGNS. Another idea is to utilize AutoHook’s solutions to give your service campaigns a needed boost. Dealers can offer incentives to recent buyers who need to come in for their first service appointment. According to Automotive Digest, “The first ser­vice appoint­ment is step one in the reten­tion process that leads to future vehi­cle purchases.” Advertise a generic gift card offer and use Issue Instant Reward or Issue Coupon Code. 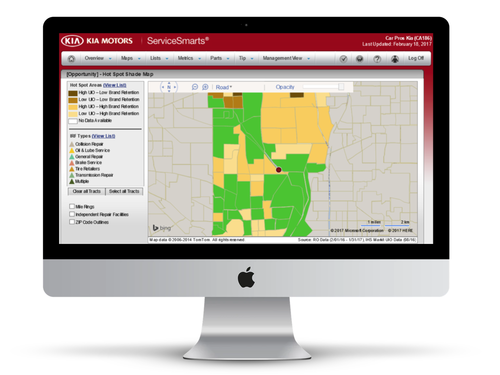 If you utilize Urban Science’s SSO (Service Smarts), or MMO (Market Master) contact your AutoHook Customer Service Representative to see how you can execute on that valuable service data. 3. GET MORE QUALITY TRADE-INS. Your equity mining software can help you target customers with an incentive to get them to trade in their desirable car and purchase or lease a new one from you. 4. BOOST NEW MODEL LAUNCHES. Piggyback on OEM launch campaigns and drive those intenders into your showroom with customized offers. 5. MOVE AGING INVENTORY. Depending on your brand, we know certain models move faster than others. Use AutoHook incentives on the particular details pages of the vehicles in your inventory that need “a little help.” Target and boost any model that may be underperforming. A few years ago, AutoHook ran a campaign for an OEM that nearly doubled the amount of cars they typically sell within a certain model. Why did that happen? Because we more than doubled the amount of customers that physically walked into the dealership. Don’t underestimate the power of getting someone past the lead form and into your showroom so that your sales team can do their job and get them excited about making that purchase. 6. GET MORE REFERRALS. Use Issue Instant Reward to customers who refer your store to their friends and family. Issue Coupon Code can be leveraged to lock in referrals over the phone in those states that allow referral payments. Check with your state Dealer Association for more information. Central Kia of Lewisville runs a strong referral program and uses our Issue Instant Reward as their fulfillment and measurement tool. We noticed a trend in multiple $25 gift cards being issued to the same people and the dealership had a very high ratio of issued rewards to their other products. After speaking with their Internet Sales Director, AutoHook built a set of special Issue Reward placements that range in value from $25 to $200 and marked each as a Referral Gift. Central Kia loves having the ability to have the fulfillment process completely handled for them. They can also track the specific placements to see who refers the most people to buy and how much they need to offer to incent the best referrals. Additionally, this will make your accounts payable department very happy, in that they only have to write one single check for all of the output in a given month. 7. COMMUNITY OUTREACH. The LaFontaine Automotive Group used Issue Instant Reward for a local grassroots program they sponsored. Dealers have the opportunity to get creative with this, especially during the holidays or just to give back to those less fortunate in their community through different programs throughout the year. 8. IMPROVE SOCIAL & DIGITAL ADVERTISING CONVERSIONS. Dealers can use triggered links on custom landing pages and send incentives for generic social advertising. Social also allows for many retargeting opportunities to reactivate and re-engage lost clicks. This tactic will add substantial conversion to your social and digital advertising campaigns. With AutoHook, you can provide your customer with the industry-best attribution; from ad click, to form fill, to showroom visit, to sale. 9. SAY “THANK YOU” FOR A GOOD REVIEW. Issue an Instant Gift Card as the perfect way to say thank you for writing a positive review on behalf of your dealership. You can also use AutoHook as an enticement for customers to leave reviews, testimonials, or feedback of their experience buying or servicing their vehicle at your location. On the flip side, you can use the Issue Instant Reward feature to any customer who complained or had a poor experience at your dealership. Not that that would ever happen at your store…but know it’s available for you to have in your back pocket, should that problem ever arise. 10. TIME OF PURCHASE PUSH. Utilize Issue Instant Reward for advertised offer with purchase. 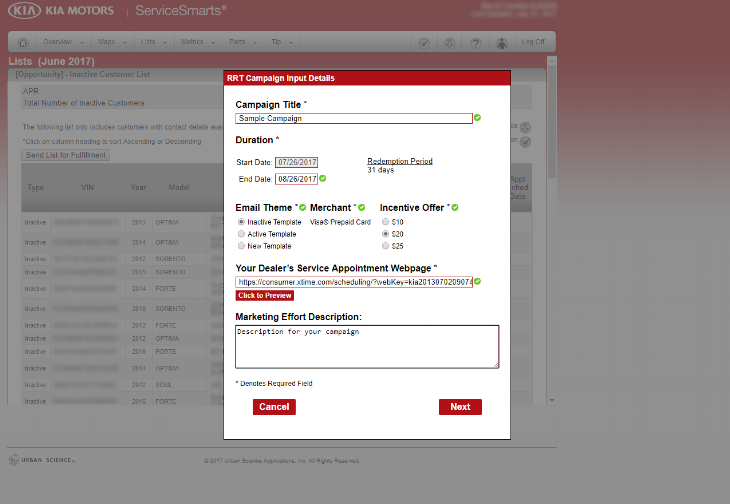 Some AutoHook clients have this turned on at the OEM level to boost last minute sales. Dealers have leveraged our incentive platform to help achieve various stair-step programs launched by their manufacturer. Customers will love the added bonus of leaving your store with a new ride and a gift card as a token of your appreciation for their business. So there you have it. Incentives provide infinite opportunities around the various departments of your dealership and the ROI proof is in our attribution reporting. Don’t be a victim. If you suffer from SBS please contact your healthcare provider or AutoHook Customer Service Representative before it’s too late. Dealer websites today are filled with conversion widgets. In most cases, customers will choose only one form or call-to-action (CTA) to convert on. If the CTA that they chose was “value my trade,” then you can be pretty sure that the value of their trade-in is their hot button. Or perhaps they filled out a credit application. Those may be pretty low-funnel customers who, in most cases, will have some credit challenges that they may need help with. Most conversions, however, are from price-based CTAs. Whether the conversion happened because there was no price and they clicked “Get price.” Or, whether a price was present and they wanted more information, the majority of the leads any dealer gets will begin in this manner. That being said, we also know that many dealers have pop up specials or incentives they offer their website visitors. It could be a “$100 off coupon” towards a vehicle. Or it could be “Get a $25 gift card with test drive.” What does it tell you, however, when the same customer converts on both forms, one right after the other? The customer’s intent when converting on your website is to move further down the funnel towards a new vehicle. Some may be simply pricing out vehicles and doing research. While others may be planning to go buy a car tomorrow… or even today. If your dealership has a special offer pop up on the website and you get a lead from a VDP, then immediately after get a conversion on the pop up, the sirens should go off. These customers want information and have taken the next mental step towards buying a car from you. Not only are they prepared to take you up on that $100 off or gift card offer, but they have, at the very least, narrowed your dealership down to one they plan to visit. Most dealerships have canned templates for online inquiries - some better than others. I would suggest, however, that if you see conversion activity as described above, you should have a completely different process in place for handling these leads. Just think about what this consumer’s actions tell you about their intent. They came to your website, browsed your inventory, landed on a vehicle that interested them enough to give away the one thing that they control -- their information. Consumers don’t give this up easily. They understand that the moment they input their information and hit the submit button, someone at your dealership will be e-mailing and calling them. So, they decide to leave your website and are presented with an incentive. They’ve already filled out a form indicating interest. If they then stop and fill out a second form in order to claim an offer, they’ve just told you that they’re interested in the vehicle and doing business with your dealership AND, very likely, that they’re considering doing it SOON. It is important to have concrete processes in place and consistent follow up with all of your internet leads - and I certainly don’t recommend cherry picking and ignoring any leads. However, the lead that comes in with a message that says “I want to buy a car from you tomorrow” will definitely perk up some ears and initiate some serious action by a dealership’s ISMs or managers. If you show offers and incentives to your customers and experience 2 conversions in a short period of time, one being your special offer, treat that lead exactly as if the customer had told you they were buying a car from you soon… because that’s exactly what their behavior told you, regardless of whether they typed it into the lead form.